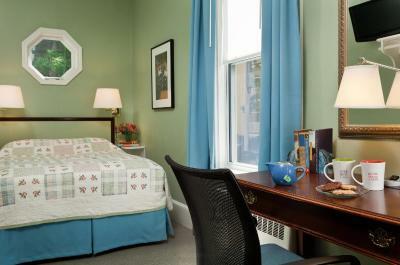 Lock in a great price for Irving House at Harvard – rated 8.5 by recent guests! The Irving House is located just a few blocks from Harvard University and is in the heart of Cambridge. We were traveling with kids and had a room with a queen bed and a bunk bed that was perfect for us. Our corner room was bright with two big windows. The breakfast that was included was convenient and adequate. All of the staff were very friendly and helpful. Other guests seemed to mostly be folks associated with Harvard. Parking was included. Nice stay at very convenient location, quiet at night. The staff is incredibly kind here, especially the breakfast staff who went out of their way to take care of me. Clean, neat , efficient place. In and out. Chop Chop. Somewhat on the European side—not a lot of fancy amenities but really feels like a home away from home and location that can’t be beat. 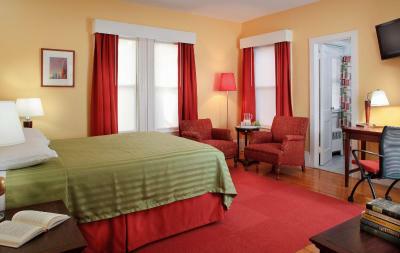 Clean, comfortable bed, friendly ambiance, great choices breakfast. extra pillows blankets, set of towels already in room well thought out for room size . had space to hang clothes ,small desk, tiny dresser , small cubby with clock , chair, bed, place for suitcase. accessible plugs. shared bath clean and large shower in one, full tub in other. great for one person short trip parking ok not great but i have van . great breakfast for health conscious. nice dining rooms open til 11pm . have fridge accessible 24/7 and water dispenser. Free tea(4/5 flavors) , coffee available 7am-11pm and free snacks. Breakfast is great! And, such a short walk to Harvard Square, you could not have a better location. Irving House at Harvard This rating is a reflection of how the property compares to the industry standard when it comes to price, facilities and services available. It's based on a self-evaluation by the property. Use this rating to help choose your stay! 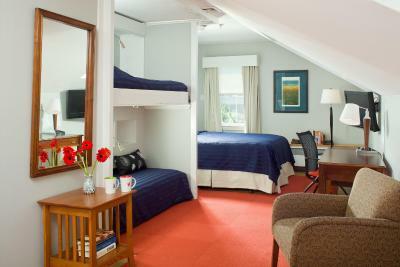 Located 750 feet from the famed Harvard University and set in the heart of Harvard Square, this charming guest house offers cozy accommodations, a delicious free daily breakfast and an on-site library. The Irving House at Harvard provides a warm and friendly atmosphere along with a guest-use refrigerator, free wireless internet access and free daily newspapers. The property also offers on-site laundry facilities along with discounted passes to a nearby fitness center. Guests staying at the Harvard Irving House are 1.7 mi away from the Massachusetts Institute of Technology as well as charming shops and local restaurants. The sites of downtown Boston are also 3.7 mi away. Harvard Square is a great choice for travelers interested in history, museums and culture. 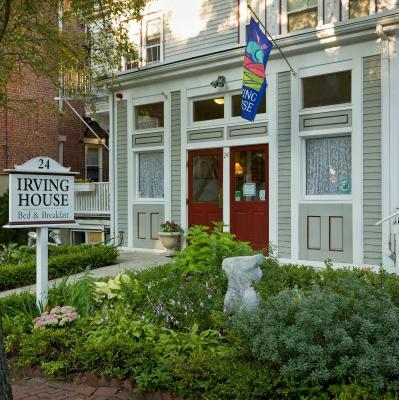 When would you like to stay at Irving House at Harvard? This room features one queen bed. 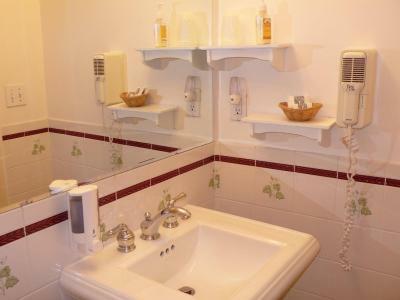 One ADA accessible room is available in this room type and is subject to availability. This room features one twin bed. This room features a work desk. This room includes a queen bed and two single beds. Irving House has been under the current ownership and management since 1990. We have renovated this old house several times to improve guest comfort and safety. Located on a quiet residential street, we are also near to the excitement and convenience of Harvard Square, with easy access to Boston. Irving House is an award winning green hotel too! 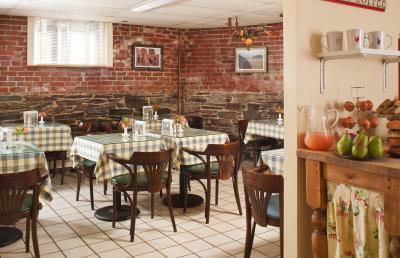 Breakfast is locally sourced, organic and healthy as much as possible. Area Info – This neighborhood is a great choice for travelers interested in history, museums and culture – Check location Excellent location – show map Guests loved walking around the neighborhood! House Rules Irving House at Harvard takes special requests – add in the next step! Up to three children under 16 years are charged USD 5 per night when using existing beds. Irving House at Harvard accepts these cards and reserves the right to temporarily hold an amount prior to arrival. When booking for 3 or more rooms, different policies and additional supplements may apply. Reservations for 3 rooms or more require full prepayment and can only be refunded if canceled two weeks prior to arrival. Please note, parking is limited. Please note, there is no elevator at this property. sound from neighbors on phones or talking, squeaking floor noise as guests walk, and garbedge truck so noisy outside picking up trash early in the morning but that’s not their fault. the breakfast was great. easy to get to T, harvard square, but heavy luggage might be hard to carry up and down the stairs. Parking though available was difficult in the immediate area. I used a lot down the street that had roomier parking. Very expensive for what you get. The staff were not friendly and the breakfast was mediocre. Pillows were saggy and lumpy, needs to be changed. The family room for four was really small - not really enough room for 4 people + 4 suitcases. Possibly my room would be a bit hot in summer. On tap coffee and tea and cake all day made it a comfortable place to hang out. No feeling that I had to vacate my room and stay out all day. The price seemed high for the value however at the time we were booking everything in Cambridge and Boston was very expensive. The bed was a touch old. Front desk staff didn't seem to understand that I have a knee injury and have some trouble walking. They didn't help me find public transportation - they kept sending me to a distant station when that was difficult. Next time I will ask for a softer pillow. Everyone was very nice and friendly and helpful. The Breakfast was adequate but could use some more choice of muffins/danish. The parking was difficult on the property, hard to get in and hard to get out. However, we appreciated it being on the property and no extra charge. The location was terrific. The room was good, though the shower left something to be desired and we couldn't get all the tv stations. Everything was clean. They had all soaps and shampoos in wall containers which was a very smart idea. We were there to visit our new granddaughter and were very close to her home, so that was great.